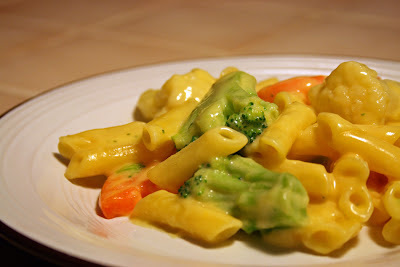 I always like trying new variations of mac & cheese. It's one of those dishes that's kind of hard to get sick of, unless you ate it every single day of course. 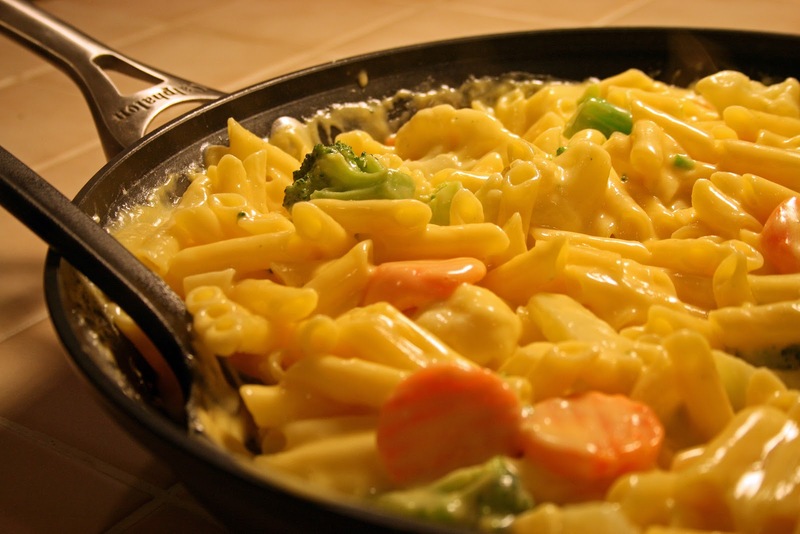 A variation is adding vegetables, which is a good way to sneak in some veggies while still enjoying the cheesy goodness of mac & cheese. 1) Cook pasta according to package directions, cooking for the least amount of time for it to be al dente. Drain and set aside. 3) In a large pan melt the butter over medium heat; add the garlic and onion and saute for a couple minutes or until onions start to turn translucent. Reduce the heat and add the flour; whisk until well blended. 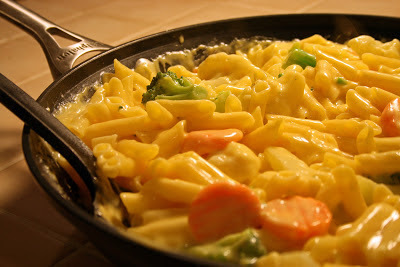 4) Add the milk and dry mustard and whisk continuously for several minutes or until the mixture thickens. Add the cheese and salt and whisk until cheese is melted. 5) Remove the cheese mixture from the heat and stir in the noodles and vegetables. Serve immediately.